The Son of Time Oil in the Blood Limited Edition timepieces boldly reflect the world that inspired its creation. With just 350 pieces created, each element has been chosen to make a statement. Explore more here. 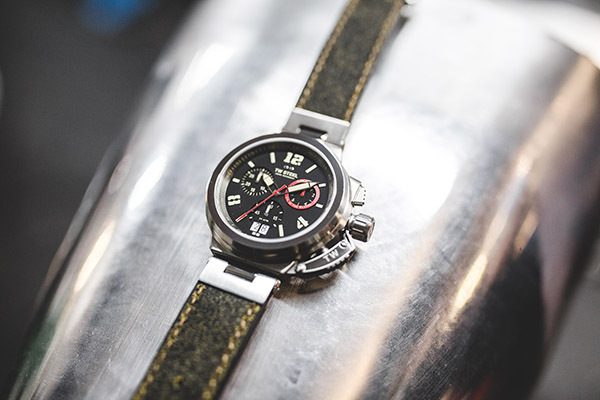 Crafted alongside the Oil in the Blood custom bike, the timepiece showcases the same bold attitude. The matt, rough brushed steel 46mm case encloses a stunning black multi-layered dial with discreet raised indexes and subtle red accents. Powered by a Swiss chronograph 8040.B movement, this next chapter in the Son of Time story will be bound to the wrist of a lucky few by vintage greenish brown Italian leather on soft rubber and a steel clasp. Step up if you want this exclusive statement on your wrist. Only 350 units are available here for €799 / $899. 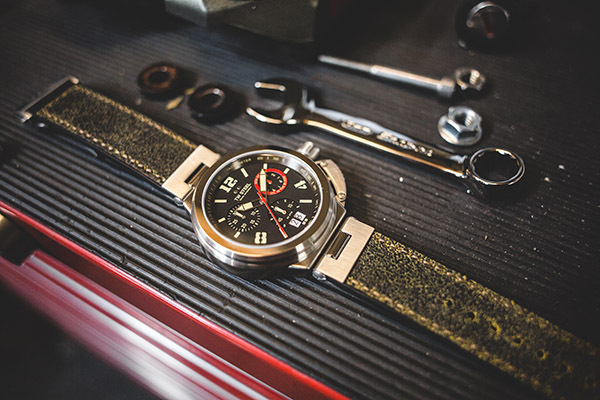 Built alongside the fully electric café racer, this limited edition timepiece celebrates the custom bike movement. 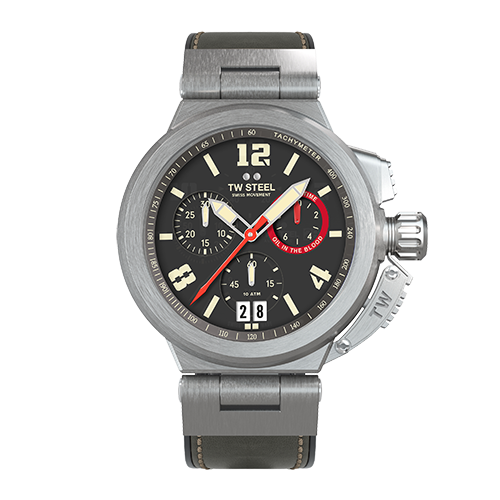 The TW999 is powered by a Swiss chronograph movement, a brown Italian vintage leather on soft rubber strap and anti-reflection sapphire crystal. Good times rolling. ©2019 TW Steel. All rights reserved.